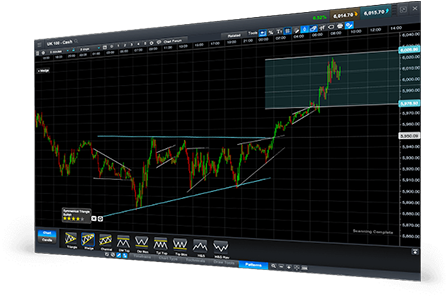 The charting package has over 80 technical indicators, chart types and drawing tools built in, so you can access all the features you need to analyse price movements and conduct detailed technical analysis. 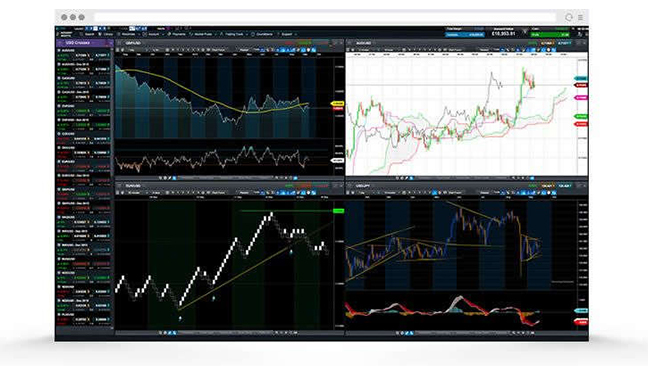 Use the chart package to search for common technical chart patterns and candle formations on open charts across both long- and short-term time intervals. 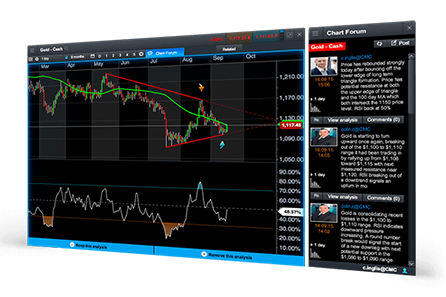 The available pattern recognition tool lets you automatically identify visible patterns and get price projection targets to highlight potential trading opportunities. 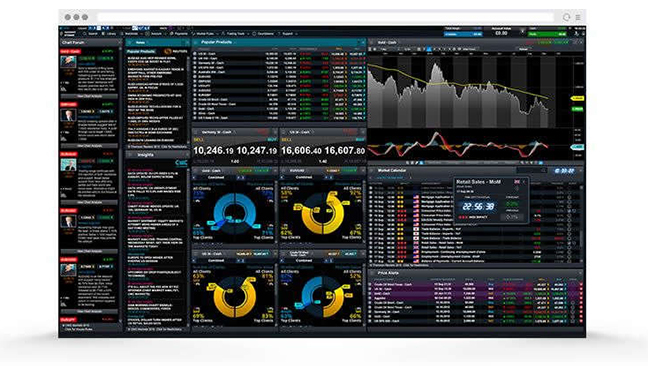 Navigate across the platform features efficiently and easily. 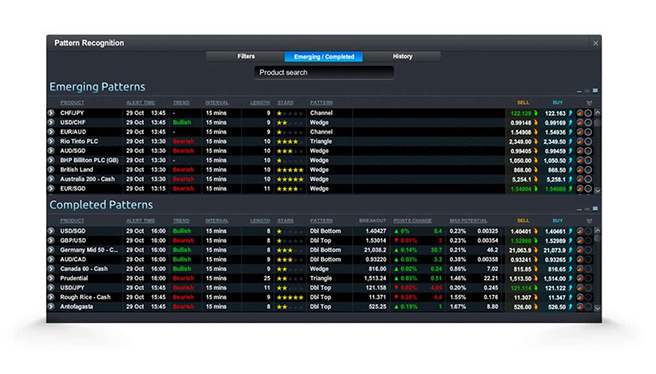 Group together different modules so that when you change the product shown in one module, all other grouped modules will automatically update to show the new product you wish to analyse. 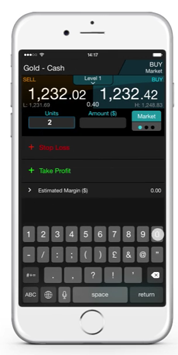 Our preferred product issuer’s iPhone, iPad and Android apps allow you to view live streaming prices and manage trades directly from charts. 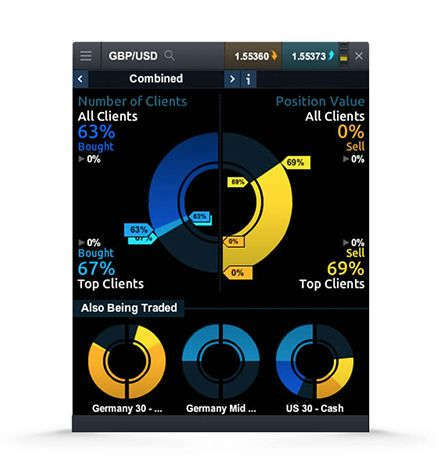 With powerful charting features, including over 35 popular technical indicators and drawing tools, you can easily conduct your analysis on the go. 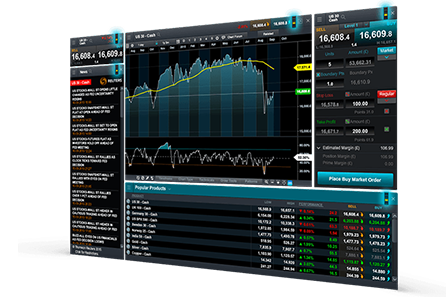 Take greater control of your execution. 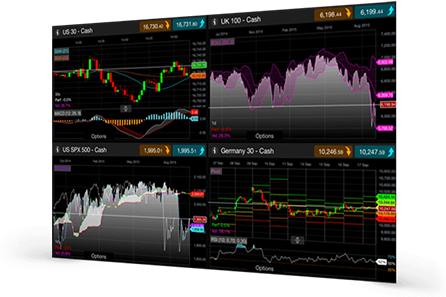 Place or close trades, edit stop-loss and take-profit levels directly from your charts. 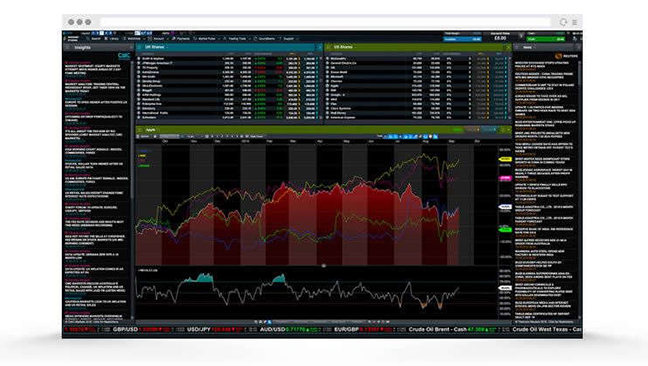 This simple-to-use feature allows you to use historical price action to make better-informed entry and risk management decisions. 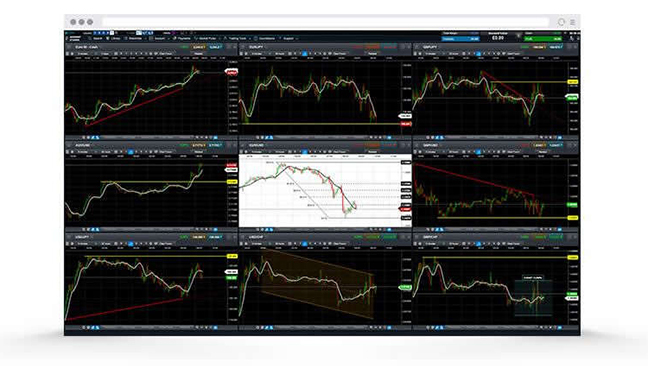 The Pattern recognition scanner automatically alerts you to the emergence and breakout of popular chart patterns such as triangles, wedges and channels across 120 of our most popular products every 15 minutes, ensuring that you are notified of possible trading opportunities. 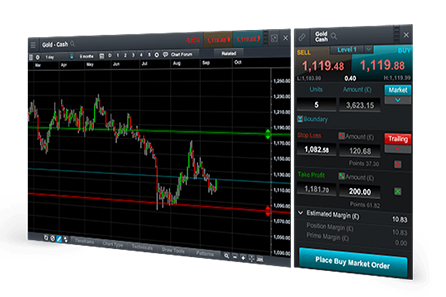 The ‘Next Generation’ platform provides a range of flexible and easy-to-use orders so you can better manage your trade entry, exit and risk. 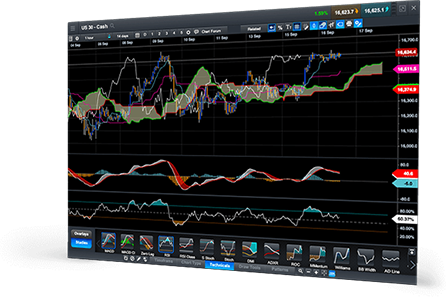 We also offer a range of advanced features including boundary orders, guaranteed stop-loss orders, trailing stops, price ladders and more.